Despite the ongoing European debt crisis sweeping global markets and the depressed state of domestic long-term interest rate spreads, Taiwan's financial sector has managed to notch its most profitable year since the global financial crisis. While the domestic securities industry posted declines, according to the most recent data available compiled for CommonWealth Magazine's rankings of the nation's 16 financial holding companies and top 100 financial institutions, six of the 16 financial holding companies – Fubon Financial Holdings, Mega Financial Holdings, Chinatrust Group, SinoPac Holdings, First Financial Holdings and Taishin Holdings – posted their highest profits in five years. Of those six, Fubon, Mega and Chinatrust reported profits in excess of NT$20 billion. 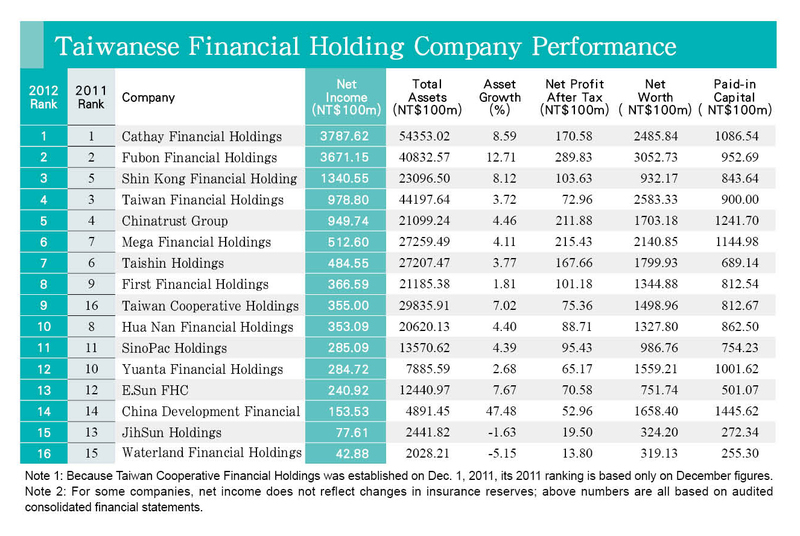 Profitability across the entire financial holding sector improved markedly, according to the CommonWealth Magazine survey, as combined after-tax profit at Taiwan's 16 financial holding companies last year reached NT$181.47 billion, the highest since the onset of the global financial crisis. 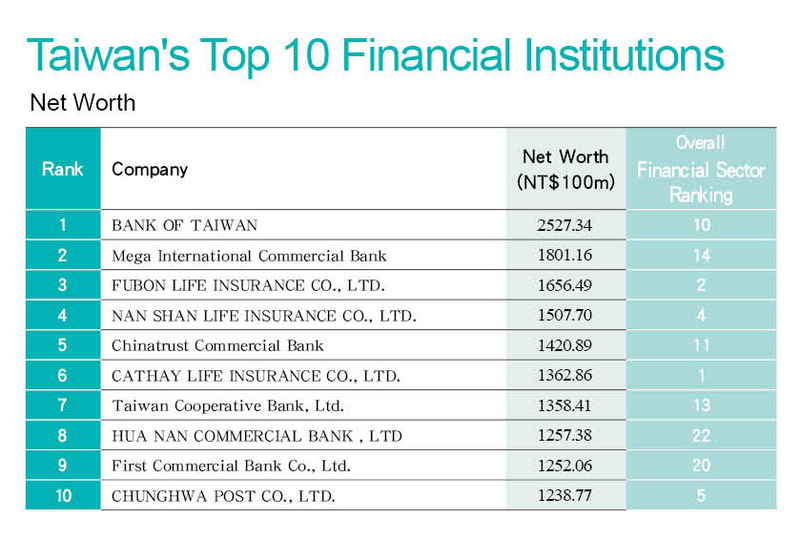 The island's top 100 financial institutions also filed glowing reports in last year. 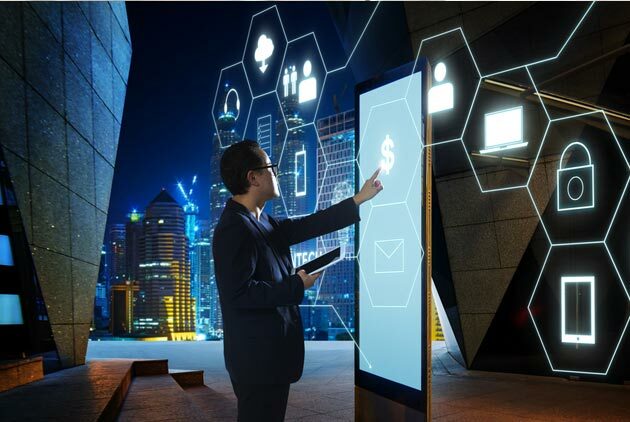 The survey found that the top 100 reported a combined NT$4.7 trillion in operating revenue last year, up 16 percent from the previous year's total. Aggregate after-tax profit for the group was just a hair over NT$300 billion, an impressive gain of 31.6 percent on the previous year. The common thread in the banner year has been bankers seizing opportunities in new markets and with new products, abandoning a "red ocean" strategy to reap big offshore earnings. 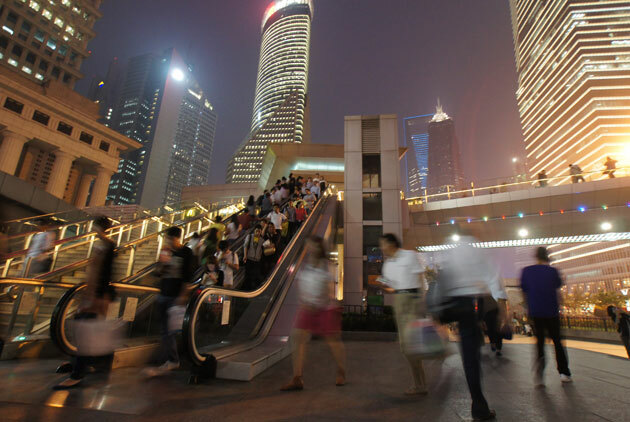 With NT$216 billion in aggregate after-tax profit reported last year – an increase of 17 percent over the previous year – the banking operations of the 100 top financial institutions are a prime illustrator of the shift overseas. 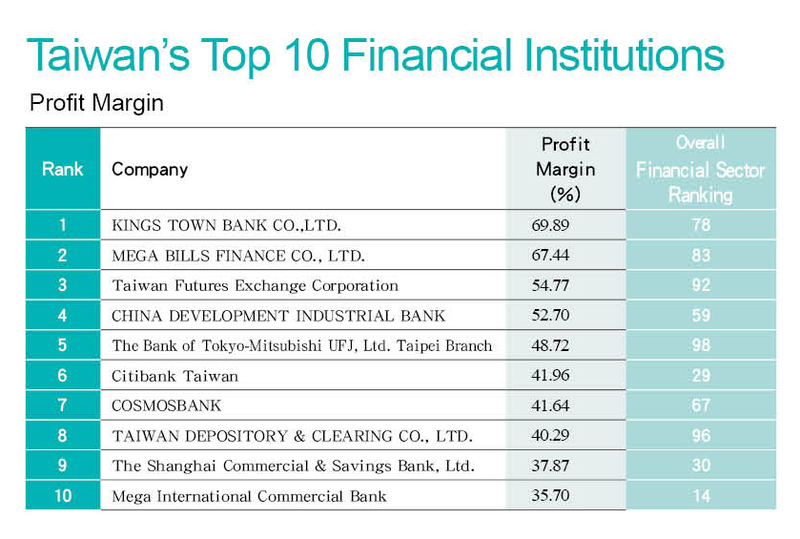 According to pre-tax profit data for each bank filed with the Financial Supervisory Commission, overseas profits for Taiwanese banks accounted for 30.6 percent of the sector's overall profitability as the total value surged 56 percent over the previous year. Mega Bank, with its comprehensive overseas network, epitomized the trend, with overseas profits accounting for more than half of its total. The internationalization of the Chinese renminbi has driven this profit windfall as banks aggressively pursue "renminbi plays." 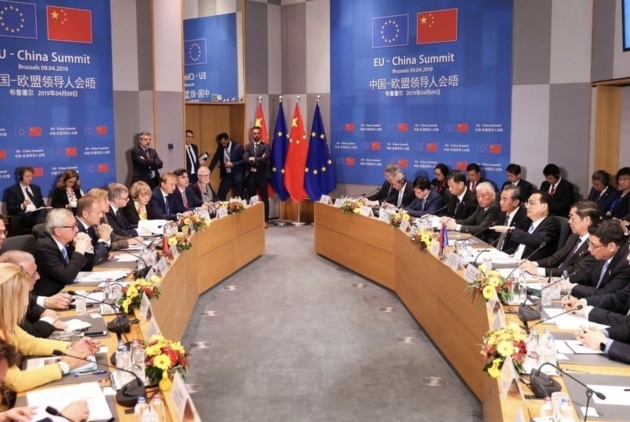 "Ever since the government relaxed regulations to permit offshore banking units (OBUs) [of Taiwanese banks] to accept deposits and make loans in renminbi, [industry-wide OBU] business has been on the rise," says James Chen, president of Chinatrust Commercial Bank. "This is definitely a 'blue ocean' you would rarely see in the past." Interest rate spreads, the bread and butter of banking profits, are another example. In China, average interest rates on renminbi-denominated loans run as high as 8.5 percent, making it difficult for small- and medium-sized businesses to secure financing. In Taiwan, interest rate spreads average less than 1.5 percent, due to a prevalence of low interest rates and cutthroat competition. 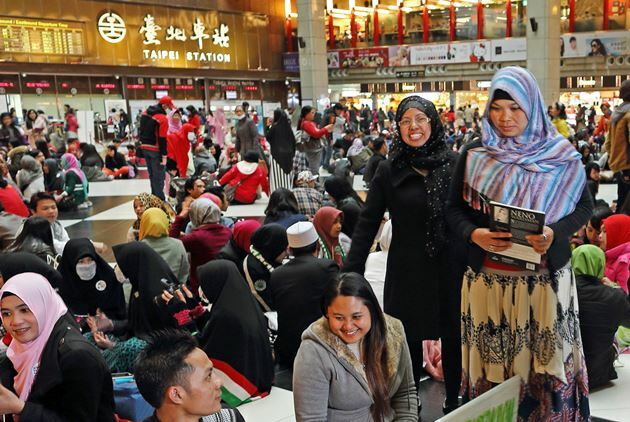 Once renminbi business was opened to the OBUs, banks began offering "half-price" financing to Taiwanese businesses operating in China, with rates hovering at around 4.5 percent. 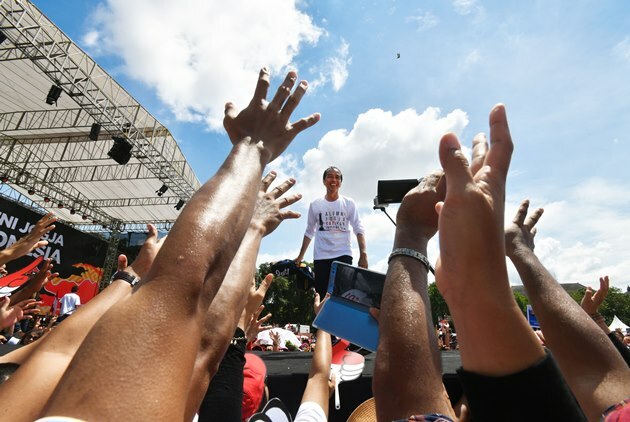 With no concern about demand, the interest rate spread easily exceeds two percent. What's more, others, like Fubon and SinoPac Holdings, are utilizing their Hong Kong presence to engage in direct trading in China's renminbi debt markets, where the potential for profit is even greater. According to Andrew Wang, chief investment officer for Manulife Asset Management, beginning this year as renminbi trading formally begins to arrive in Taiwan, not only will banks be more flexible in how they put their renminbi funds to work, but such financial management products as renminbi-denominated corporate bonds (known as "dim sum bonds") and renminbi-based mutual funds will also drive a windfall in processing fees, creating even more opportunity for domestic banks. The bottom lines of overseas branches and overseas subsidiary banks also received a significant boost last year as demand for financial services rose sharply among some Asian economic standouts. The booming markets of the Association of Southeast Asian Nations (Asean) member states have thus also become a key source of profitability for major Taiwanese banks. On the heels of four straight years of brutal losses since the global financial crisis, the insurance industry is also this year gradually rising from its nadir on the back of overseas activity. 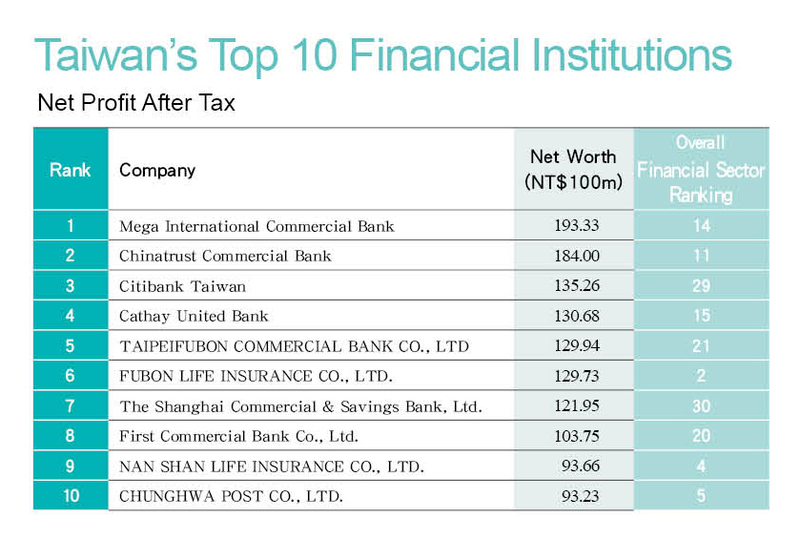 The survey results showed that Taiwanese insurers earned an average of NT$1.75 billion in after-tax profit in 2012, a significant improvement over the single-digits of the previous year or the red ink posted at the time of the financial crisis. Life insurers emerged from the loss-making haze, largely due to the ongoing leisurely recovery underway in the U.S. and marginal improvements in the European debt situation, prompting a major sell-off of overseas assets bought at the bottom of the trough. Insurers including Nan Shan, Fubon, Cathay and Shin Kong saw big payouts from selling off corporate bonds purchased just prior to and in the aftermath of the financial crisis. Fubon Life came out on top, with earnings last year topping NT$13 billion. 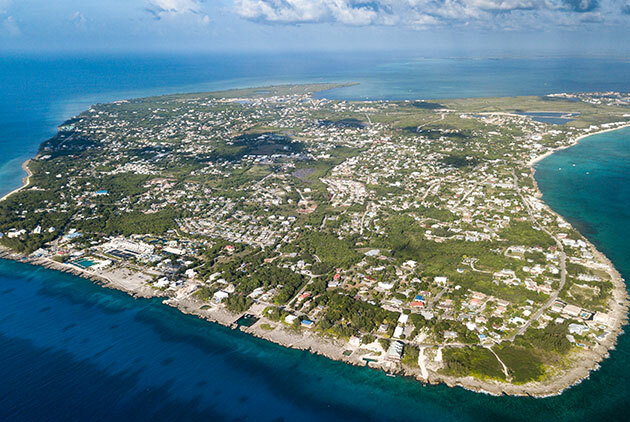 As the effects of this year's Financial Supervisory Commission decision to raise the ceilings on overseas investments and real estate investments by life insurers begin to be felt, insurers expect industry performance this year to be even better than last, perhaps officially bidding farewell to the gloom that has prevailed since the financial crisis. Yet the massive sell-off of overseas assets by insurers and subsequent transfer of the proceeds into short-term profit vehicles has drawn the scrutiny of regulatory authorities, with even major insurance companies being examined as to whether they are maintaining the wherewithal to pay their claims obligations. 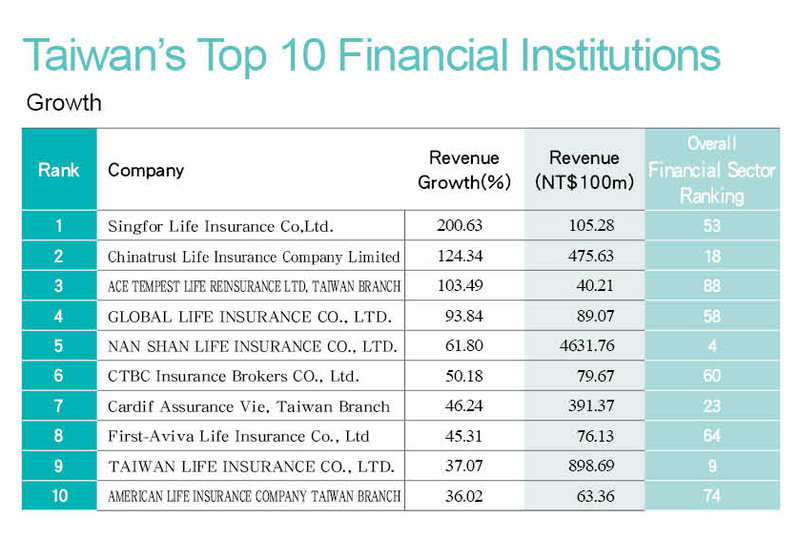 Meanwhile, as credit rating agency Taiwan Ratings notes, after weathering the financial crisis, the capital structure of Taiwan's insurance industry remains in a state of relative fragility. How companies go about capitalizing on the current moment of transition from red ink into black and strengthen their overall financial positions will be the key issue for the insurance industry going forward.